The Part 2 Autumn Collection will be available for purchase tomorrow, Saturday, November 1st at 6 pm EST at www.solsticescents.com. 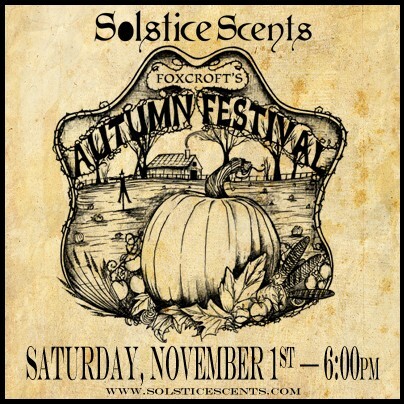 We are pleased to present the Foxcroft Autumn Festival, which features a set of 7 fragrances that were not possible to offer along with the flagship Foxcroft Collection last year. These scents have been planned since that time and we are excited to finally bring them to you! When I crafted the chai accord for the Maplewood Inn fragrance in the Foxcroft Collection, I thought it was good enough to stand on its own. It has been tweaked significantly and also has a few companion notes, as you will see when you read the description for Sycamore Chai. For those new to our site, Foxcroft is a fictional town we created. There is a Foxcroft fragrance that was released several years ago and from there, the idea sprang to create a collection based within this town. Thus, the Foxcroft Collection was born. We also have a town newspaper. Back issues can be viewed here: http://www.solsticescents.com/FOXCROFT-BULLETIN-BACK-ISSUES_ep_55-1.html All orders from this release will receive the latest fall installment of the bulletin, not currently published online. These bulletins include our real recipes that we eat and love to share in the newsletters. All aspects of the Foxcroft Collection, both the original and the current, have been an intense labor of love. We have tried to build a virtual world through sight with our carefully staged product photos to the map and bulletin to pair with the olfactory experience in the fragrances. 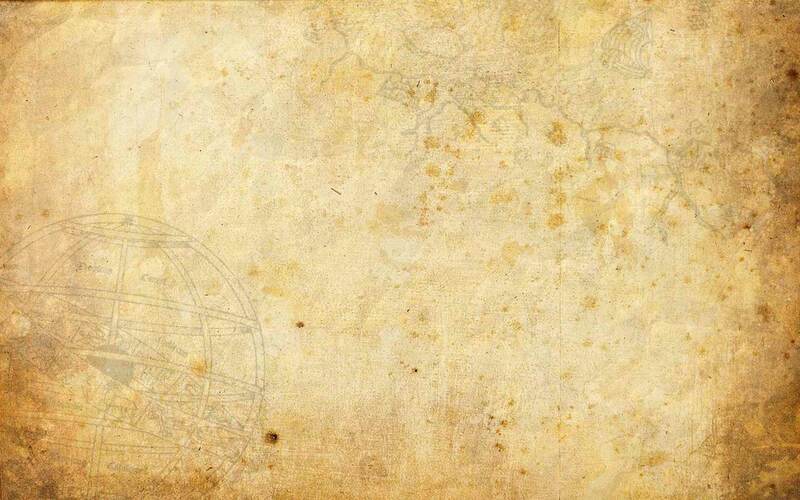 We hope you enjoy journeying to the newest places within the town. As always, perfume samples will be available for all of the fragrances. A beautiful gift set including all 7 of the fragrances will also be offered. Further details are provided at the end of this post. We will attempt to stock some of the body products with the highest demand should they sell out, but we want to disclose that we must move on to production of Part 1 of our Winter Collection as the year is quickly drawing to a close. Therefore, the only guarantee for bath and body products is to purchase those tomorrow. We will have plenty of perfume oil and will continue to decant it for several months (or maybe even permanently? We'll have to see...). Please remember that we are primarily a perfumery and therefore the bath and body items are often in limited supply. I have tried to stock this release very well so that you can be sure to get what you want. We will do our best to restock popular items. A cloudless night dotted with stock-still stars gleaming with such ferocity as only can be seen in the open country. Crisp fall air carries on it the scents of the bustling Autumn Festival held at the Foxcroft fairgrounds. Dazzling colors, scents of sugared delights and a myriad of sounds overwhelm and delight the senses. Pink cotton candy pillows adorn needle thin sticks accompanied by large frosty vanilla cream sodas. Sticky vanilla salt water taffy and Gridling's funnel cakes blanketed in confectioner's sugar threaten to send blood sugar soaring far past the top of the Ferris wheel and on towards Polaris. The fresh outdoor autumn air weaves around the sweet treats with a hint of dirt, leaves and moss laced with woodsmoke. In a quiet corner of the fairground, a fortune is waiting to be told. Exotic tendrils of incense escape from underneath the tent flaps, swirling around you and beckoning you to enter. Foxcroft Fairgrounds is an olfactory kaleidoscope that is full of rich atmosphere. On initial application, a beautiful autumn air accord emerges while hugging a core of a deliciously crafted pink cotton candy accord and vanilla cream soda. The autumn air carries notes of dirt, leaves and moss laced with soft woodsmoke. Hints of vanilla salt water taffy and golden brown funnel cakes coated with powdered sugar dart around the edges after a few minutes. The cotton candy pushes toward the front and remains at the core of the scent through most of the wear time. On the fringes of the cotton candy core you will get different whiffs of notes each time you smell it. 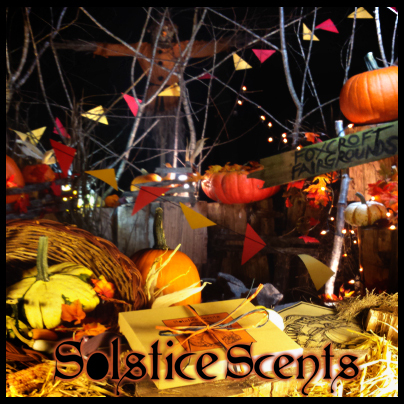 A soft exotic incense note blows through on one sniff, autumn air or sweet woodsmoke may entrance you on another. Cake and cotton candy may dance intimately at a later time. With 30 notes, Foxcroft Fairgrounds has plenty of layers to unfold and journey with. This is the kaleidoscope of scents at the festival, intended to mirror the sights and smells for an olfactory synesthesia that is a fun and fascinating experience. This scent is grounded in the non-gourmand notes and may turn more unisex depending on your chemistry. It does have a pervasive sweetness to it but Foxcroft Fairgrounds is meant to be an atmospheric experience that even men can enjoy. 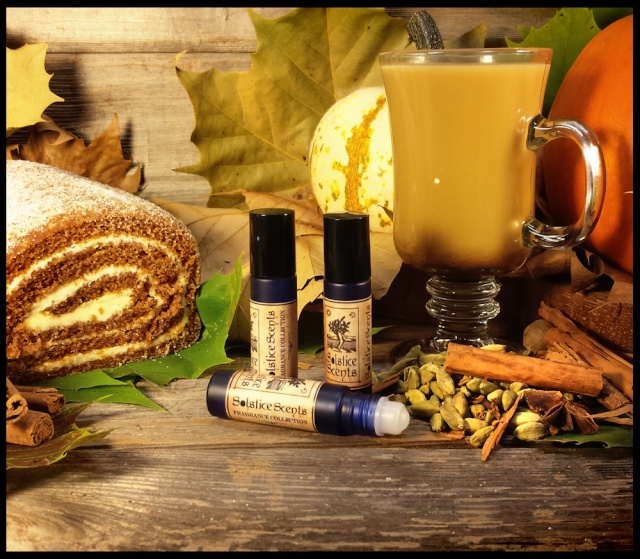 If you enjoy our gourmand blends that are tempered with darker notes (wood, smoke, amber, incense, moss, patchouli, etc), you will likely love Foxcroft Fairgrounds. It has a similar feel to Jack & the Devil due to the sweet and earthy combination of notes, though it is not as bold and lacks the spice notes and heavy patchouli. CAUTION: THIS OIL CONTAINS A VARIETY OF SPICE ESSENTIAL OILS THAT MAY PRODUCE A VERY MILD WARMING SENSATION AFTER INITIAL APPLICATION. THE SPICES ARE HIGHLY DILUTED AND SHOULD NOT CAUSE MAJOR DISCOMFORT. THOSE WHO ARE EXTREMELY SENSITIVE TO SPICE OILS MAY WISH TO AVOID THIS BLEND OR PERFORM A PATCH TEST IN A SMALL AREA TO TEST FOR SENSITIVITY. DOES NOT CONTAIN CINNAMON ESSENTIAL OIL, ONLY FRAGRANCE OIL. FOR WHIPPED SOAP: USE CAUTION ON SENSITIVE MUCOUS MEMBRANE AREAS. FOR THE BURNISHING GLACE: NOT RECOMMENDED FOR USE AS A BATH OIL due to the spices. FOR THE BURNISHING GLACE AND GANACHE: USE CAUTION IF APPLYING TO FRESHLY SHAVED LEGS OR IMMEDIATELY AFTER SHOWERING. 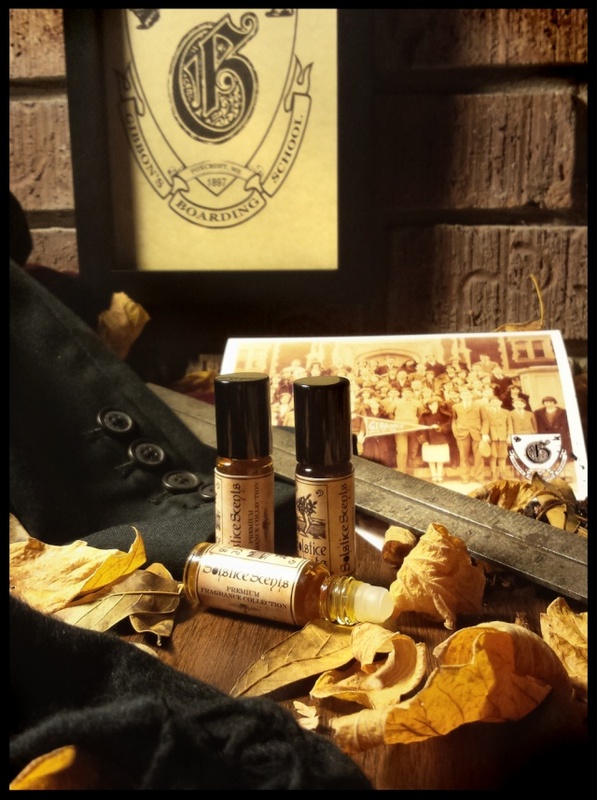 Gibbon's Boarding School is the scent of a refined institution of higher learning. Feel the crunch of scattered dried leaves underneath your feet before crossing the threshold. Inhale whiffs of embers smouldering in the fireplace at the entryway, begging to be stoked and tended. Walk down well-traversed hallways and trace your fingers along extensive woodwork over a century old before coming to a pause before the grand library which contains many original works from when the school first opened. Vacant leather chairs await tenants at strategically placed tables lit by green glass banker's lamps. Breathe in the faint scent of autumn air permeating throughout the building from open classroom windows. Dappled sunlight illuminates crisp paper sitting atop dusty wooden desks. A pencil case contains a carefully sealed tobacco pouch hidden within. Steal away to the boiler room during lunch for a secret smoke. Available in Premium 5 ml Perfume oil only. Owl Creek Aleworks offers a delicious twist on English sticky toffee pudding. Toffee pudding consists of moist cake filled with sticky caramel-like chopped dates and smothered with a decadent toffee sauce. Owl Creek Aleworks serves theirs paired with locally made vanilla ice cream from Blackburn's Parlor topped with toasted coconut and crushed hazelnuts. Wash it down with a tall glass of Owl Creeks' Sugared Pumpkin Cream Stout, made with pumpkin's from Gunnerson's Pumpkin Patch! Owl Creek Aleworks opens with a combination of toasted hazelnut, toffee and caramelly-dates when first applied. Toasted coconut, vanilla ice cream and a bit of gooey cake come forward after a few minutes to meld with the hazelnut and toffee notes. Sweet malt with a touch of spice and sugared pumpkin weaves in and out through the aforementioned notes to represent the Sugared Pumpkin Cream Stout. The stout portion of this fragrance does not smell like actual beer or alcohol but rather the sweet malt and raw ingredients that go together prior to fermentation. This gourmand blend has a very autumnal scent representing the color brown: dark stout, sticky toffee sauce, toasted hazelnut and coconut, thick malt and brown cake studded with dates. The hazelnut fades and the dry down features toffee, toasted coconut, cake, pumpkin cream stout and a hint of caramel. Owl Creek Aleworks does not morph tremendously from initial application. Available in Perfume, Ganache, Whipped Soap and Glace GANACHE: For best and longest lasting results on your ganache, we recommend layering the companion perfume with it. 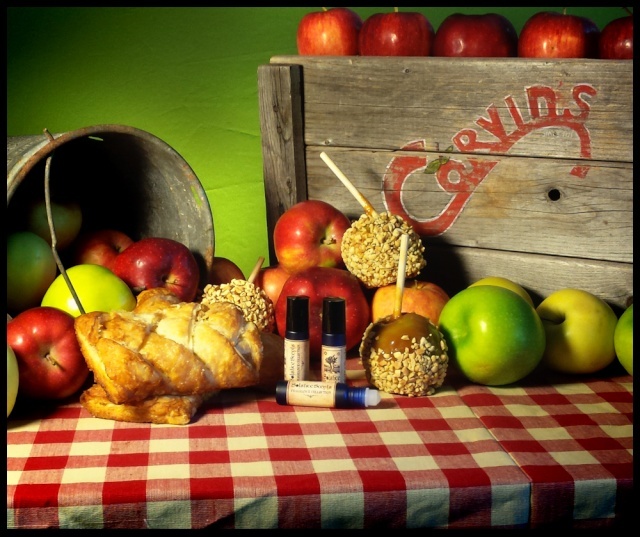 Corvin's Apple Fest celebrates all the wonderful desserts that can be made with their orchard apples during an annual festival that takes place outdoors in the crisp autumn air. A vast offering of apple pastries, caramel apples, fresh apples stored in wooden crates, warm apple cider, apple cream cheese danishes and apple pie with notes of sugar, vanilla and spices. A burst of fresh apples paired with soft nuances of cider spices greets you on initial application. Within a few minutes, the fresh apple top note dissipates, giving way to the vanilla, pastry, golden pie crust, sugar and butter weaving around the warm cider. Spices of cinnamon, clove and ginger root are present but not heavy and dominant; they are tempered greatly by the bakery notes. After about 15 minutes, the cider recedes and the caramel note emerges. The fresh apple note is faint at this stage and will continue to soften. Within 20 minutes, the apple top note is muted. Apple is a top note and therefore a fleeting one. The apple accord is delicious while it lasts. It is a blend of natural essences and fragrance oils intended to capture fresh pressed apples. The dry down features a blend of caramel, vanilla, white sugar and golden buttery pastries that envelop all of the home baked goods at the apple fest. The spices remain present yet delicate. A faint trace of apple will be caught every now and again through the next hour or more. A very faint wood accord is added to the blend to represent the wooden crates the fresh apples are stored in for the festival. The wood is greatly overcome by the baked goods and apple notes and is a supporting rather than feature note. It should be undetectable or only vaguely detectable to most noses, as intended. Corvin's Apple Fest is a soft, sweet, feminine gourmand that wears closer to the skin and should be appropriate for work settings since it has a lower sillage. It has the uncanny ability to occasionally catch you off guard wondering what smells so good, just when you forgot you were wearing it. Caramel is the most prominent note at the base of the dry down. The wood note is most apparent during this time but it is only for a short while before disappearing again. This fragrance is in a similar family to Sycamore Sugarworks and Kitchen but very much its own scent. It focuses more on the "white" notes (white sugar, vanilla, butter, pastry) than brown notes such as brown sugar and maple syrup with the notable exception of caramel. VEGAN. CONTAINS SYNTHETIC HONEY AND BEESWAX NOTES ONLY. 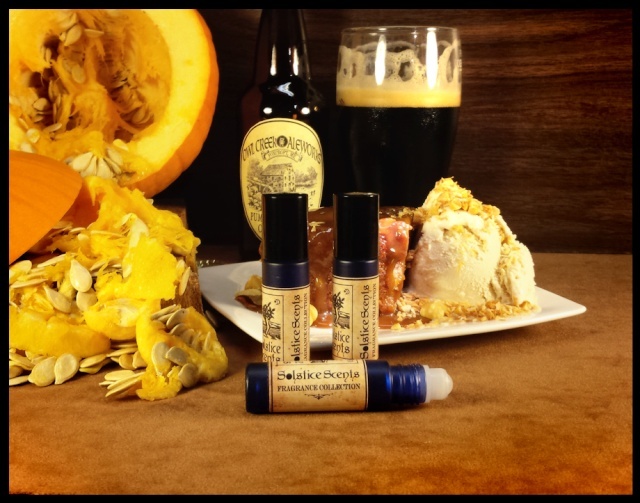 Smokewood Apiary & Bee Co. produces a variety of honey and beeswax products. They offer pure filtered honey, delicious creamed honey, ginger honey, vanilla bean honey, beeswax tapers and votives, bee pollen and their unique and special artisan smoked honey, which is only available during the Autumn Festival season. This fragrance seeks to capture a variety of honeyed notes from the pure honey to creamed honey to warm beeswax to the special smoked honey. It also contains wood notes to represent the wooden frames of the hive, a variety of smoke notes for not only the smoked honey but also the chimney smoke carried on the wind, ginger from the spicy ginger honey and vanilla from the vanilla bean infused honey. Smokewood Apiary also features a variety of golden ambers that ground the blend to prevent it from leaning too cloyingly sweet. This fragrance is a very smoky, woody honeyed amber blend that has a similar character to our Conjure fragrance due to the sweet, smoky, woody, spice and amber notes used in both fragrances. It is best enjoyed on a cold day where smoky fragrances shine best. The cold air carries the smoke notes around you in a way that is not possible in mild climes. 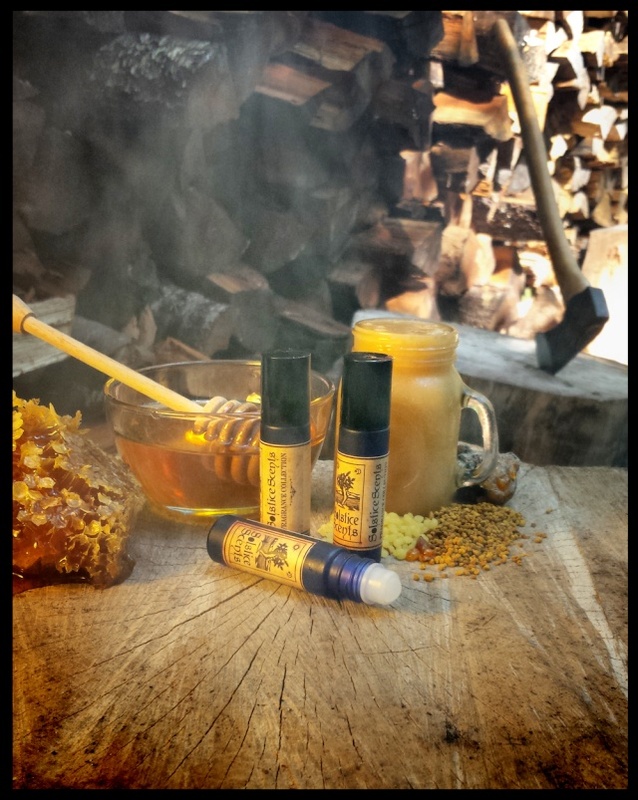 Smokewood Apiary is a unisex fragrance. Available in Perfume, Ganache and Glace. GANACHE: For best and longest lasting results on your ganache, we recommend layering the companion perfume with it. Riverside Hayride opens with a potent blend of moss, wet dirt, stone and fallen leaves. White carnations, bare branches and hay quickly follow. A very subtle trace of pressed apples carried on the breeze from Corvin's apple orchard arrives after a few minutes of wear. As the blend settles on the skin, the strong earthy outdoors notes are tamed a bit, allowing for the white carnation, wood and hay notes to become more apparent. The apple top note disappears. A thin line of woodsmoke permeates the blend on the dry down. Riverside Hayride is a very literal earthy outdoors blend with dirty carnation and November wind. 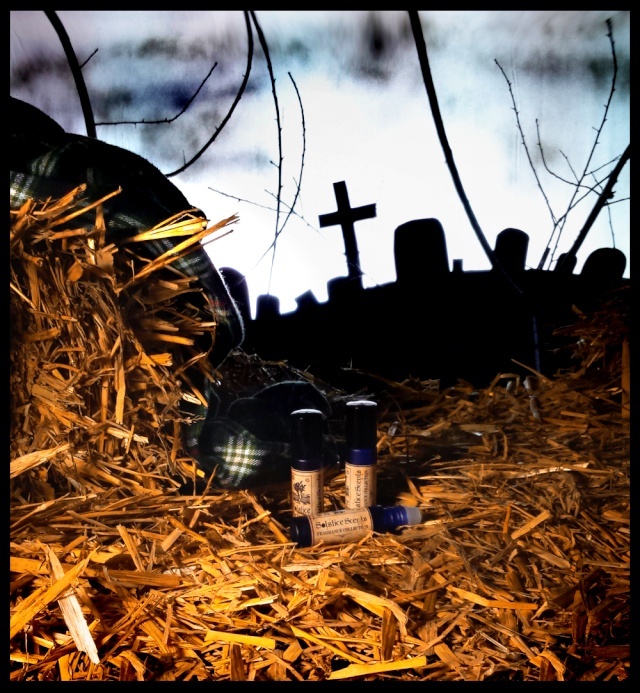 If you enjoy our heavier and more realistic green earthy scents such as Foxcroft and Crumbling Crypt, try Riverside Hayride. Fans of Dellamorte may also appreciate it as an even darker green, earthy, woody, white carnation blend. Very atmospheric. Unisex. Available in Perfume, Ganache, Whipped Soap, Glace and Home Fragrance Oil. Salts may be available in the future but this is the fragrance that had the back ordered oil so we will not have time to test and make larger batches of the salts before tomorrow night. The salts need a few days to cure. 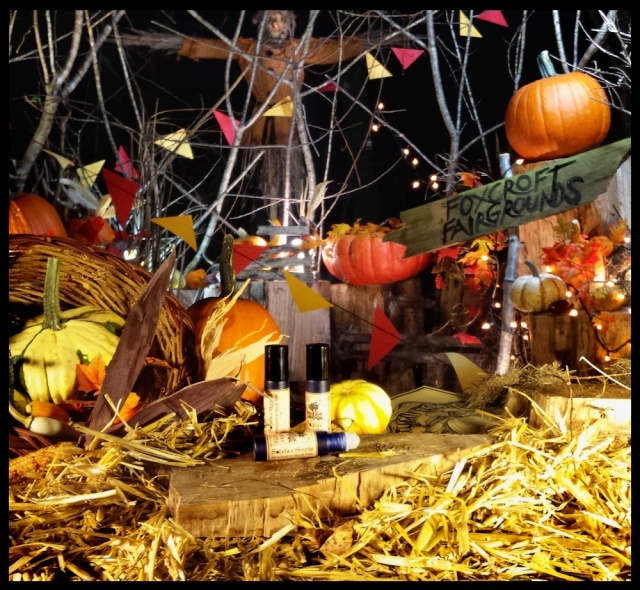 The Foxcroft's Autumn Festival Collection will be available for purchase in a boxed set featuring all 7 of the fragrances in this collection. The perfumes will come packaged in a kraft box adorned with the hand-drawn Autumn Festival flyer logo and tied with orange and black raffia. The fragrances sit nestled on top of hay and raffia with adornments of moss, river stones and putka pods. The set also comes with a card denoting each of the fragrances and their main notes.